Do you know what mistake most people make when they travel? On time service or it's FREE! These Benefits are Just the Beginning! Fast and easy online booking for your convenience! Our vehicles can transport 6, 10, 14, 25, 33, and 56 passengers. No group is too big or too small. No restrictions and no additional cost. Call our toll free number 1.844.845.7996 anywhere in the U.S or Canada when booking your reservations. Worry free, modify or cancel your reservation within 1 hour without fees. No hidden gratuities of 20%, with us it is at your discretion. 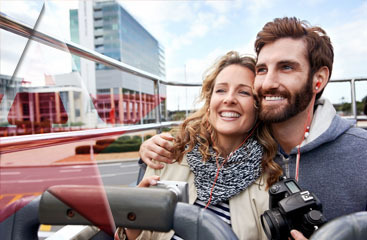 We offer convenient storage for your luggage that allows you to continue to enjoy the attractions of our city. All Stars is committed to providing exceptional service and welcome all passengers with pets and service animals. Enjoy a 10% discount on rates for your evening. Night transfers to local restaurants, movies, & more in the Ft. Lauderdale area. We have Tri County Fast Pass coverage for express transfers to all airports and cruise ports. 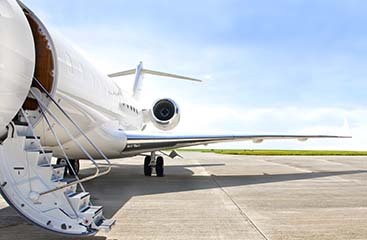 With almost two decades of transportation experience, All Stars Tours & Transportation is proud to be the choice provider of service to large commercial airline carriers; in addition to, private companies, corporations, schools, universities and the everyday traveler. 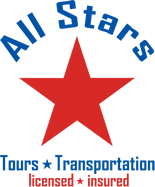 For an affordable way of getting to and from the airports, let All Stars Tours & Transportation shuttle take you there. You are assured prompt and reliable service. Upon your arrival at your pick-up location, your chauffeur will assist you with your luggage, driving you safely to your final destination. Client satisfaction is our goal. We serve top hotel brands and guarantee guest satisfaction. Use our transportation team to make your experience unforgettable!